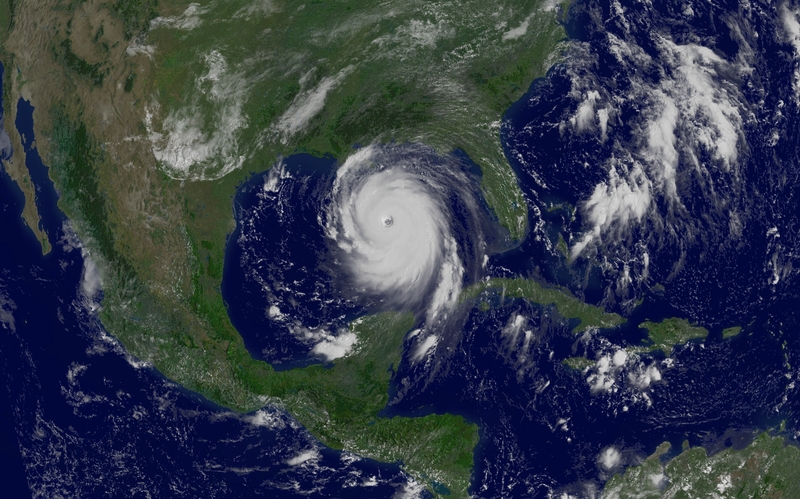 From the Annals of the Big Storms – In 2005, Hurricane Katrina made landfall as a category 3 hurricane. The storm’s direct impact was directed most famously at New Orleans, but much of the Gulf Coast from Louisiana to the Florida Panhandle was effected. The storm killed more than 1,800 and caused over $115 billion in damage. The indirect impact on Texas was the outmigration of people from Louisiana many of whom have stayed in Houston and other cities. The devastation wrought by Katrina was also instrumental in triggering the mass evacuation from the Houston area in advance of Hurricane Rita which resulted in several deaths. This entry was posted in Today in Texas History and tagged Hurricane Katrina, Hurricanes, New Orleans, Texas History, Texas Weather on August 29, 2016 by Red from Texas.